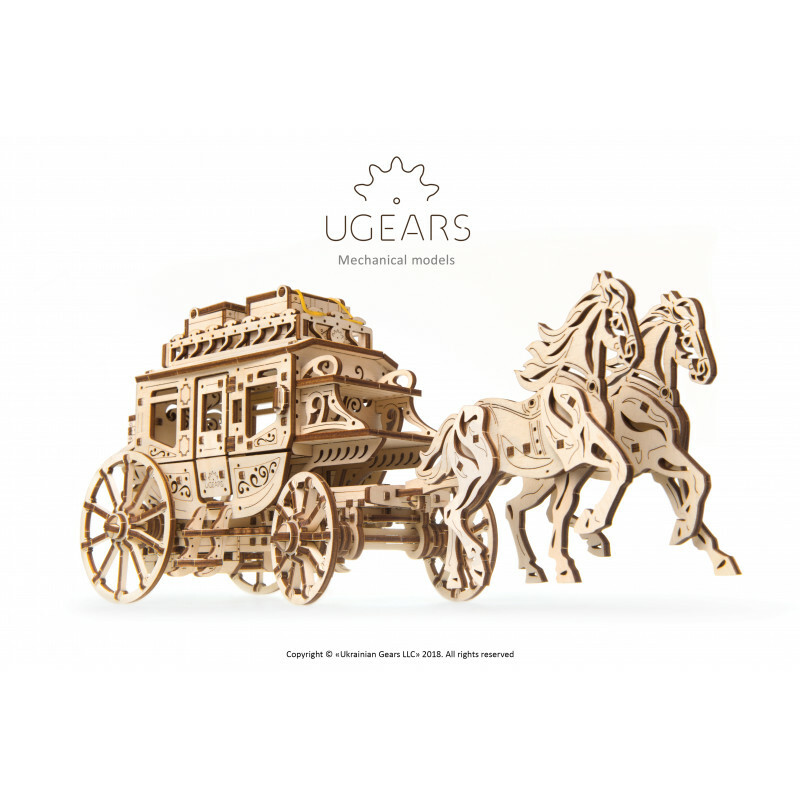 Feel the free wind of the frontier in your hair, take your family on a thrilling journey to the Wild West with the Stagecoach model by Ugears. 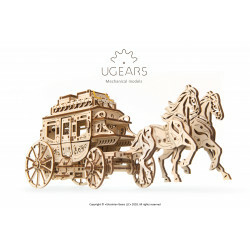 Ugears introduces the legendary carrier from the late 18th – 19th century, when the stagecoach became a signature attribute of the Wild West culture - a common means of communication as well as passenger and small cargo transportation in the US. 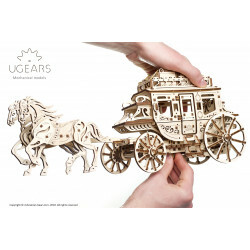 The Stagecoach has a solid frame and wheels pretty enough to play with, and a delicate cabin that gives the model an iconic Ugears look. The doors of the cabin open to let the passengers in and out. If you’d like to deliver a message to your family or sweets for your kid - 2 cargo crates on the roof of the cabin will conveniently accommodate your letters and parcels. 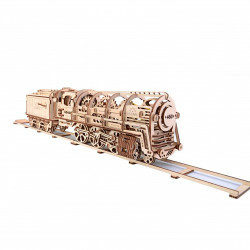 The crates can be removed and replaced with whatever small package you need delivered. 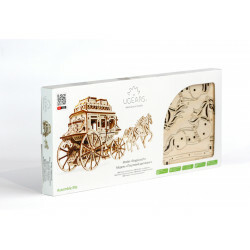 Make just few turns of the winding key and your Stagecoach will get going away as fast as it can. 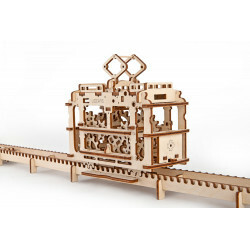 Lock the rear wheel axle to make sure the model is not running away from you while you are winding it. 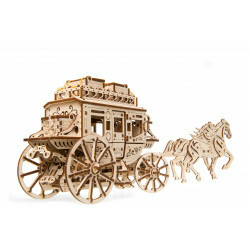 The Stagecoach is an unique model. 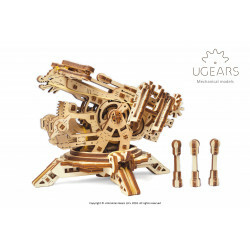 It can be handsome addition to your house due the beautiful detail on the side of the cabin, delicate carving combined with curious mechanical elements.